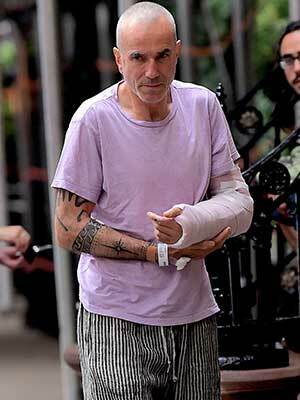 Hollywood legend Daniel Day- Lewis has broken his arm in a motorcycle accident, his spokesperson has confirmed. The Oscar-winning actor appeared to be wincing in pain as he made his way to his New York City home sporting a cast and a hospital bracelet. 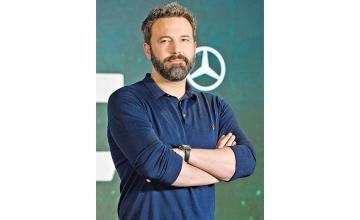 And his representative has now confirmed that the 60-year-old star has broken his arm, but reassured that the There Will be Blood actor 'is fine'.